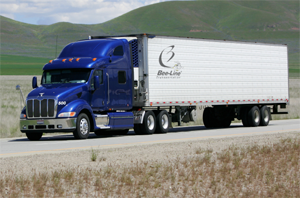 Bee-Line Delivery has a Third Party Logistics division that provides quality transportation solutions, tailored to accommodate the needs of our customers. We offer a competitive advantage by utilizing multiple transportation services. Daily service is offered in LTL, Truckload, Volume Partials, Flatbed, Vans, Expedited and Local deliveries. Our company strengths originate from our 50 year history in providing transportation services and building long term relationships with our customers. Please allow our staff the opportunity to provide your company with a quote on your next shipment. Call or e-mail us with your shipment specifications. Carriers, feel free to ask about our brokerage service.